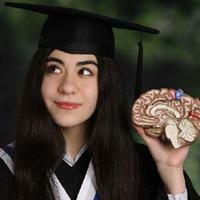 Yasmeen Hmaidan is a Canadian senior high school student passionate about computational neuroscience. At the IYNA, she hopes to share the fascinating nature of neuroscience education and opportunities with like-minded students. Outside of the IYNA, she is enrolled in a Health and Wellness Specialist High Skills Major program and volunteers at a local Cardiopulmonary Sleep Lab. Her past time pleasures include amateur astronomy, martial arts, and reading.